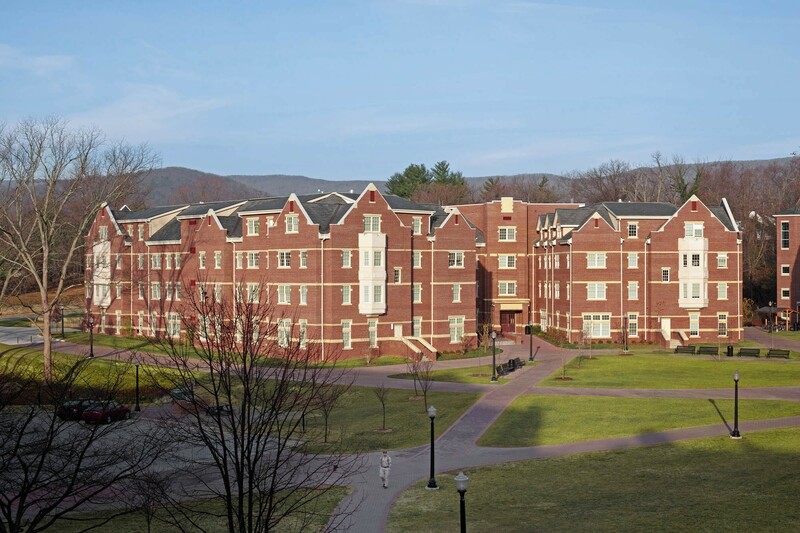 IN RESPONSE to a growing student population on this largely residential campus, Roanoke College commissioned Glavé & Holmes Architecture (G&HA), in association with OWPR, to design a new 200-bed residence hall in the newly developed athletic quadrangle. 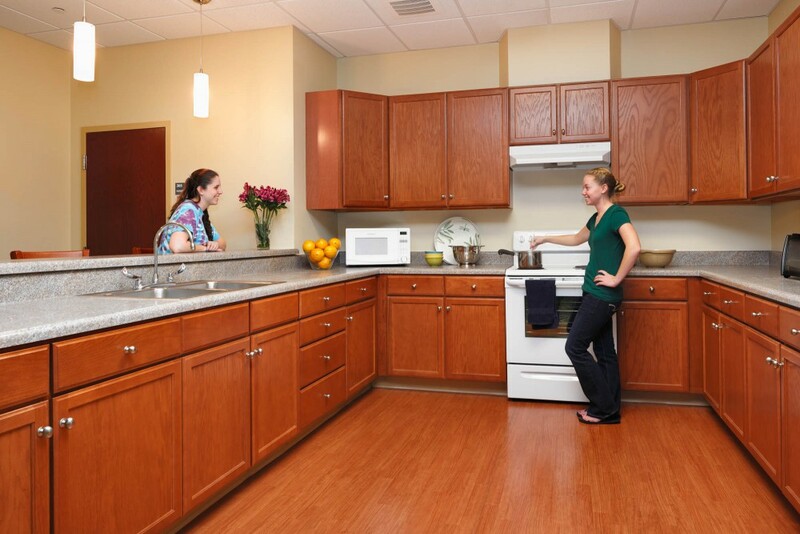 This innovative facility provides a variety of housing options for students, including four-bed, apartment style suites, with a mix of single and double rooms throughout all models. This variety encourages diversity of housing preferences and price points within the same building and allows for the possibility of a student remaining in the same residence hall throughout his or her entire college experience. This concept encourages transitioning to increasingly more private housing from year to year. 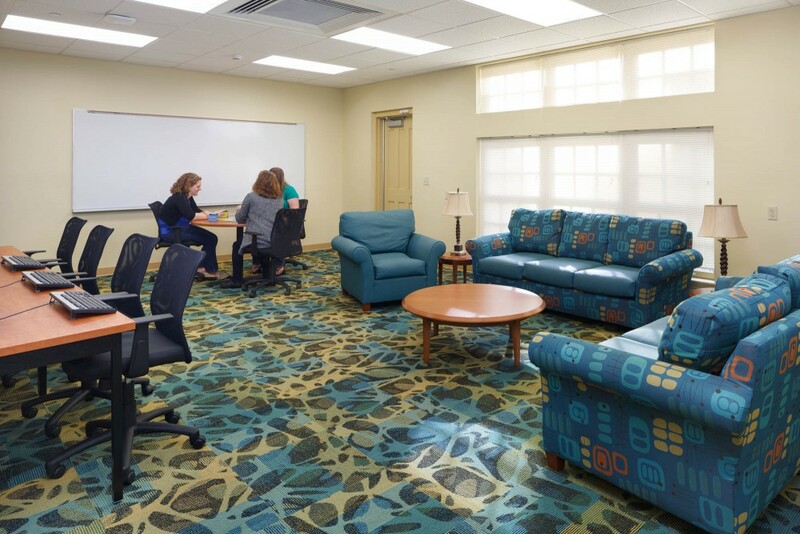 The new residence hall also provides an integrated living and learning experience with classrooms, a seminar room, a kitchen, and faculty office space on the lower level. 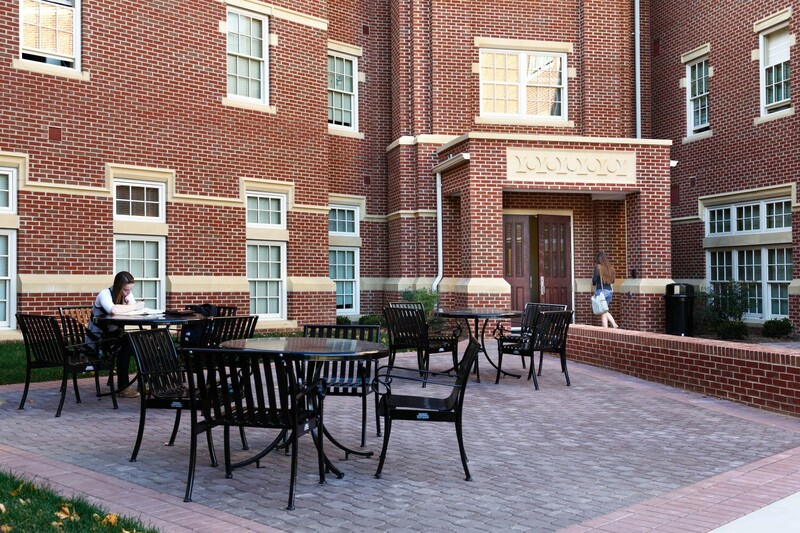 The exterior design of the new residence hall is influenced by the Collegiate Gothic structures on the campus and maintains the rich detailing of this style articulated with brick and cast stone accents. The building is arranged around a courtyard to form an outdoor room, providing places for residential life both inside and outside the building.